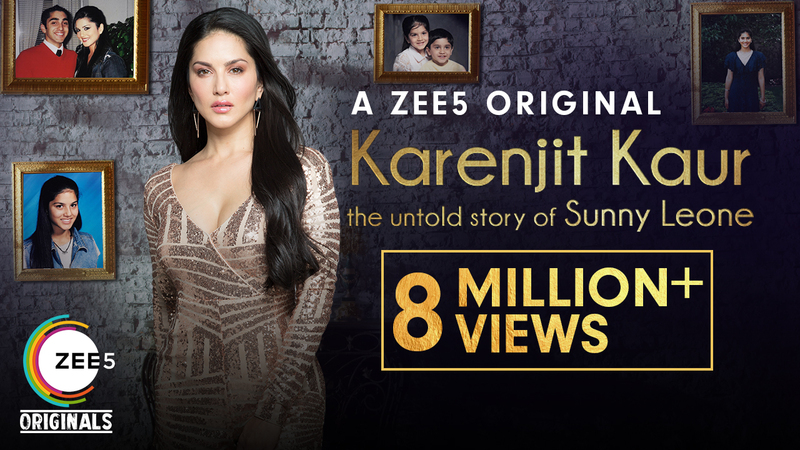 Within 48 hours of going online, the motion poster of Sunny Leone's much-awaited auto biopic on ZEE5, 'Karenjit Kaur – the untold story of Sunny Leone' has garnered more than 8.5 million views, after she released it via her social media handles. A ZEE5 original, the real-life web series talks about of Sunny's journey from Karenjit Kaur to an adult film actress and eventually becoming the Bollywood sensation that she is today. The biopic will premiere on July 16th on ZEE5 for viewers to binge watch. Till then tune in to ZEE5 to watch the exciting trailer of Karenjit Kaur!